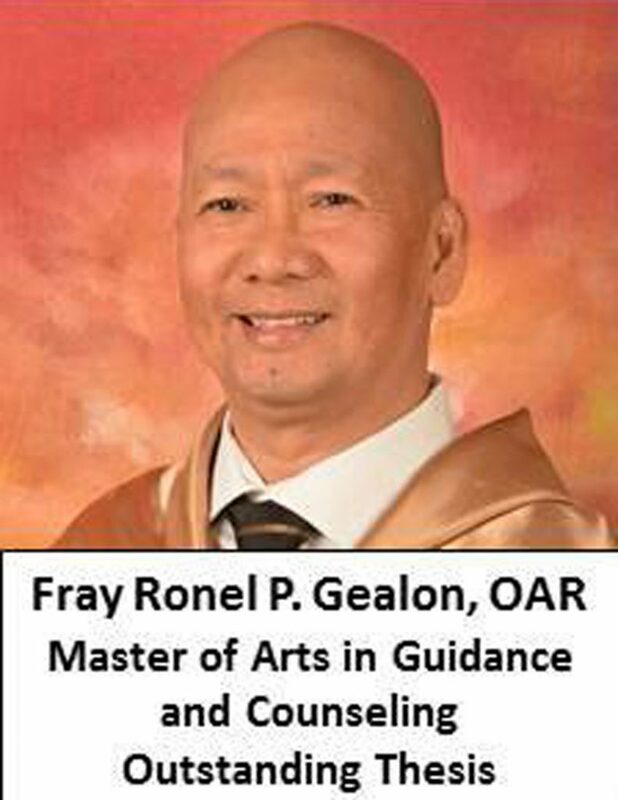 BACOLOD CITY, Negros Occidental — Fray Ronel P. Gealon, OAR, was conferred with the Degree of Master of Arts in Guidance and Counseling. 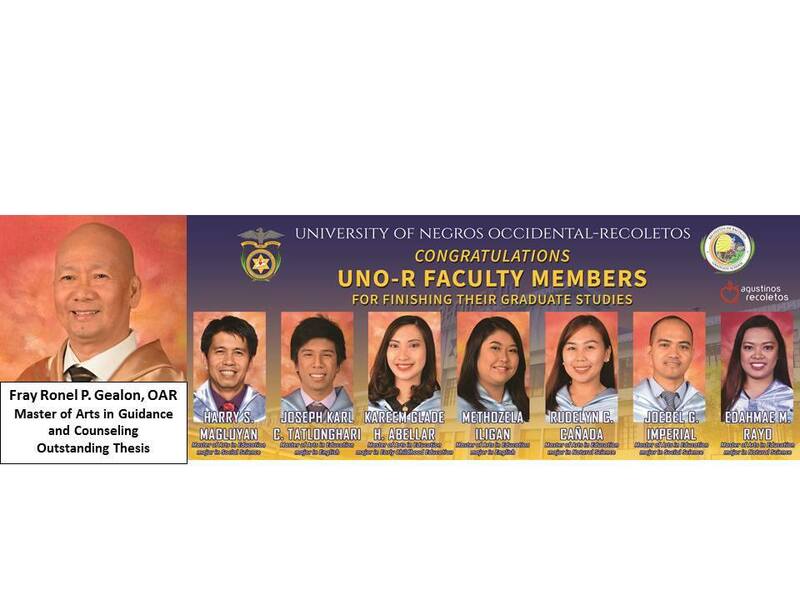 His thesis entitled, “Career Preference and College Readiness of Senior High School Students” was named as Outstanding Thesis. Harry S. Magluyan – MAEd – Social Science.